When you visit our store for Kurtis online shopping , you will be spoilt for choices as we have a pleathora of different kinds of Kurtis at our store. All the patterns of our Indian Kurtis are huge hits among college and office going women. Bored of monotonous straight cuts? Come to our store to find latest styles of designer long Kurtis with Bollywood style cuts that would make your friends go green with envy. Dressing well is a form of good manners and for us fashion is comfort. Fashion is ever-changing and is inevitable. In India we have a series of fashion, at one side we have Traditional wear and on the other western wear. The fashion in India always has been adapted from both the aspects. 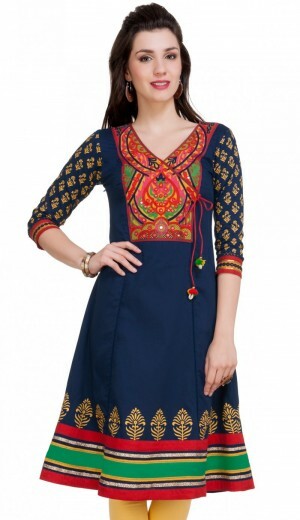 Kurti or kurtis is blend of both traditional as well as western wear. Any Girl or women in India would catch up the latest trends in kurtis as it symbolizes both tradition and fashion. 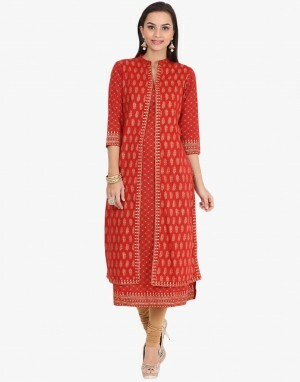 Kurtis is one such category that has an upper hand when it comes to colorful designs and styles. Kurtis is the most comfortable attire and compliment with both harem and leggings. The attire shows out your grace and curves giving the charm and beauty in you. Kurtis set no boundaries for women as it can be worn by any age group and still look presentable. College girls, working women, housewives or aged women can wear kurtis without any reluctance and is very easy to carry. Pining a smart sleeveless kurti and a good pair of denim with accessories can complement your overall look. 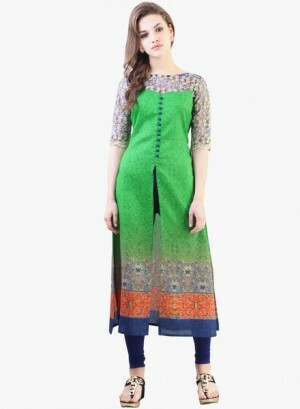 A typical kurti is similar to long shirt & falls around between one’s waistline & knees. As fashion is subject to changes even in kurtis we have various styles like long kurtis, plain kurtis, printed kurtis, Fish cut kurtis, A-line kurtis, Digital printed kurtis. Designer kurtis have taken a momentum and is the first choice of every Indian Women. With the advent of online shopping, buying kurtis online is just a click away and we also get varied option to select from. High5Store.com offers you with wide array of fashionable kurtis to select from with latest trends and fashion & different styles. Style plays a very important role for today's generation. They want all trendy apparels which catch up in the society. Bollywood style is the one that is trending now and Indian women are crazy about their outfits. Usually kurtas for women are available in lighter fabrics such as chiffon, georgette, crepe, cotton & art silk. All these fabrics make kurtas for women perfect casual wears. 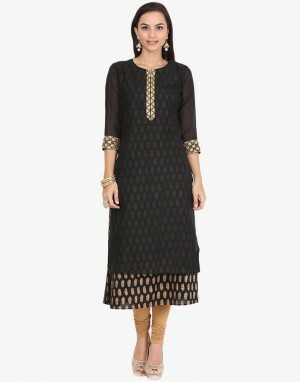 However, you can also buy and wear designer kurtis online which suit well for any formal occasions and social events. 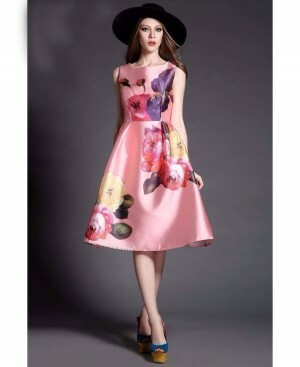 You can choose from rich fabrics like satin, velvet, silk, organza & brocades. These designer women kurtis boast perfect blend of color, fabrics and embellishments which makes them the perfect choice for several special occasions.